One SpideRing to rule them all. The Cannondale OPI SpideRing SL Chainring takes Cannondale's One Piece Integration to its extreme with this revolutionary new component. Combining the crank spider, inner-, and outer-chainrings into a single 3D forged piece of aluminum. Weighing in at just 160 grams, this featherweight SpideRing shaves weight off your bike while reducing deflection for a better shifting and pedaling experience. 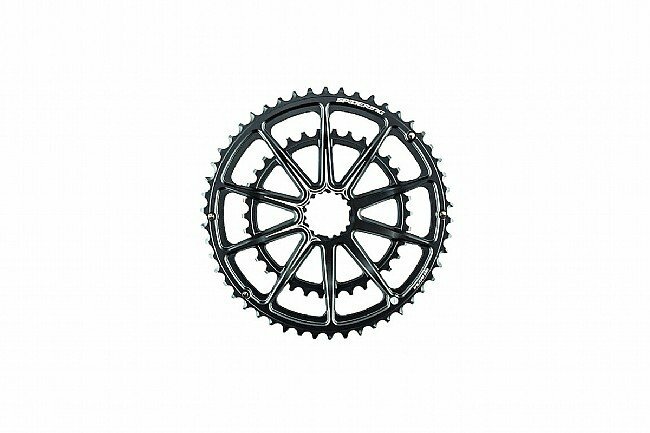 The Cannondale OPI SpideRing SL Chainring is available in 53/39, 52/36, 50/34 chainring combinations.